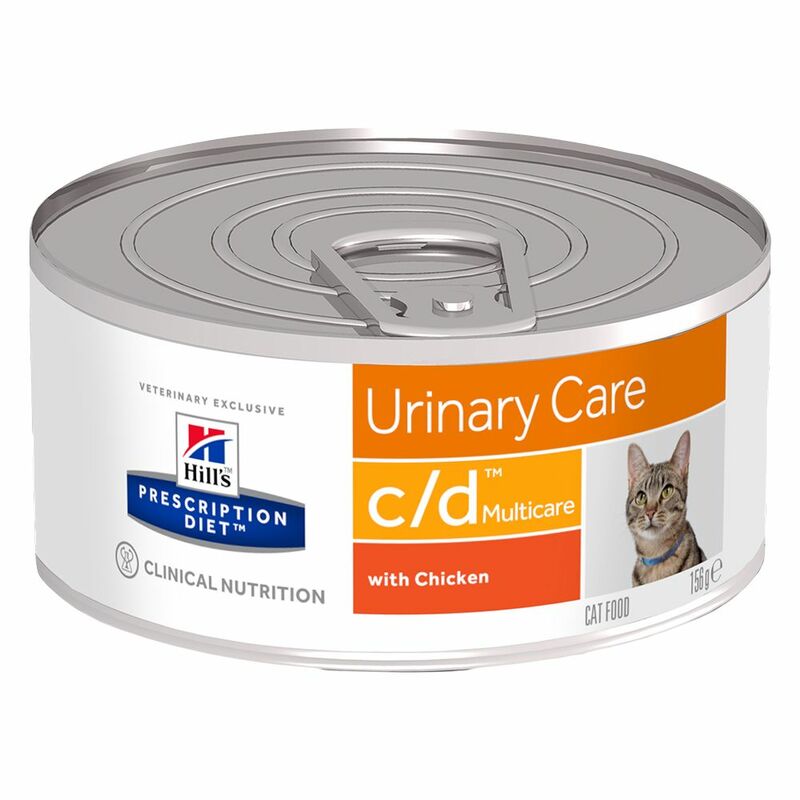 Hills prescription diet feline c d multicare with chicken is designed to maintain a healthy urinary tract for your cat as the food they eat is essential for their general health and well being. 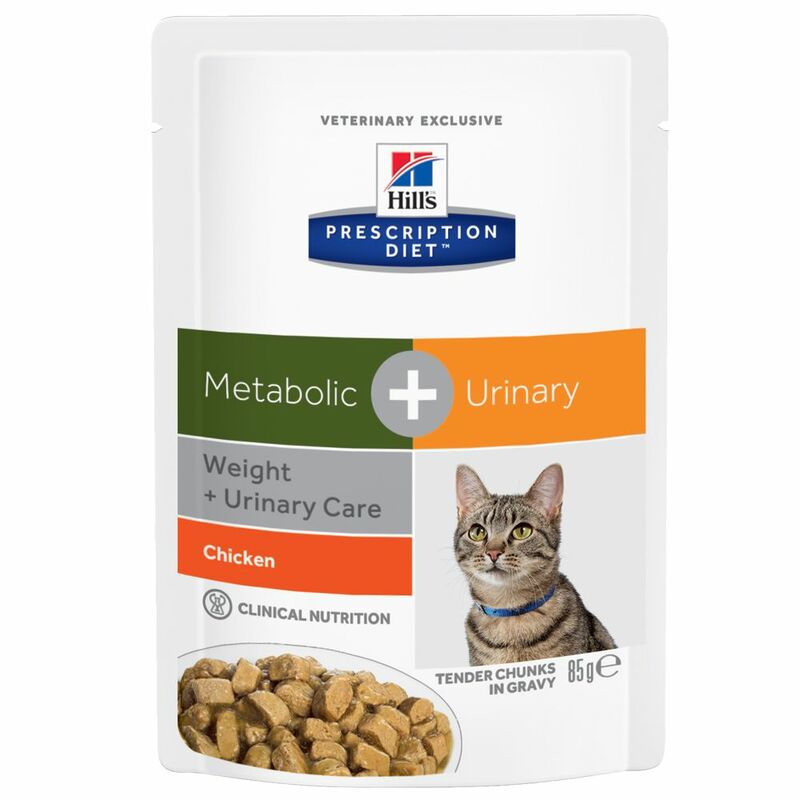 Cats need a food that contains the right balance of minerals, as excess minerals can lead to the formation of crystals in the urine, which may lead to the creation of bladder stones. 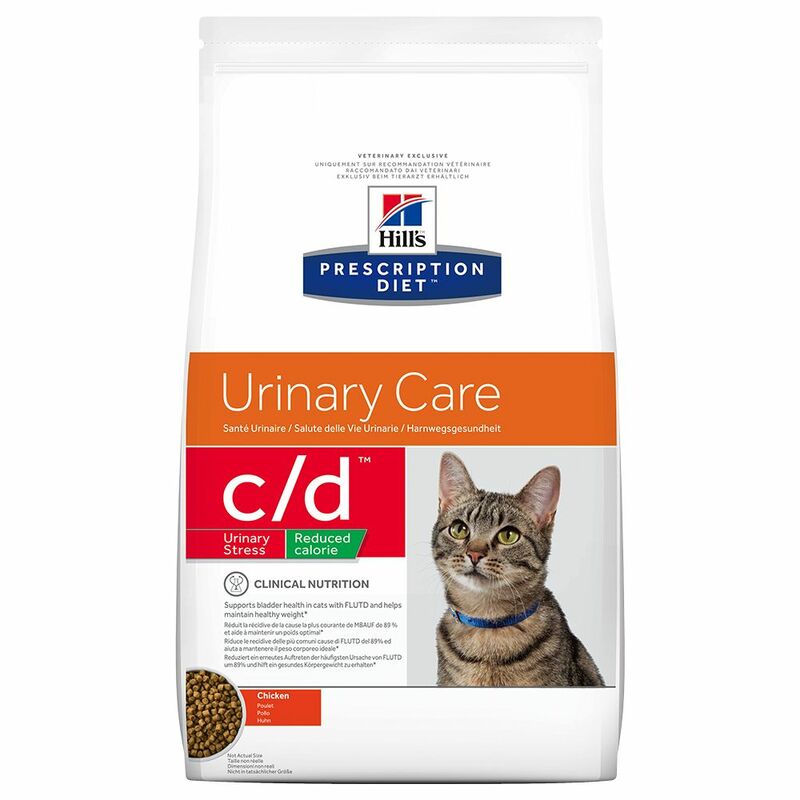 Hills prescription diet feline c d multicare with chicken contains controlled levels of calcium, magnesium, phosphorus and oxalate to limit the formation of crystals. It is also rich in fish oil for a good source of omega 3 fatty acids for healthy skin and a shiny coat. It contains added potassium and increased levels of vitamin b6 as well as low sodium to maintain normal blood pressure and its high antioxidant formula controls cell oxidation and promotes a healthy immune system.